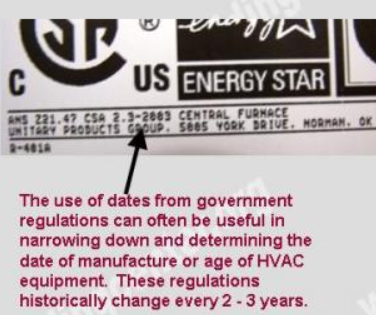 How to determine the date of production/manufacture or age of Sterling® HVAC Systems. 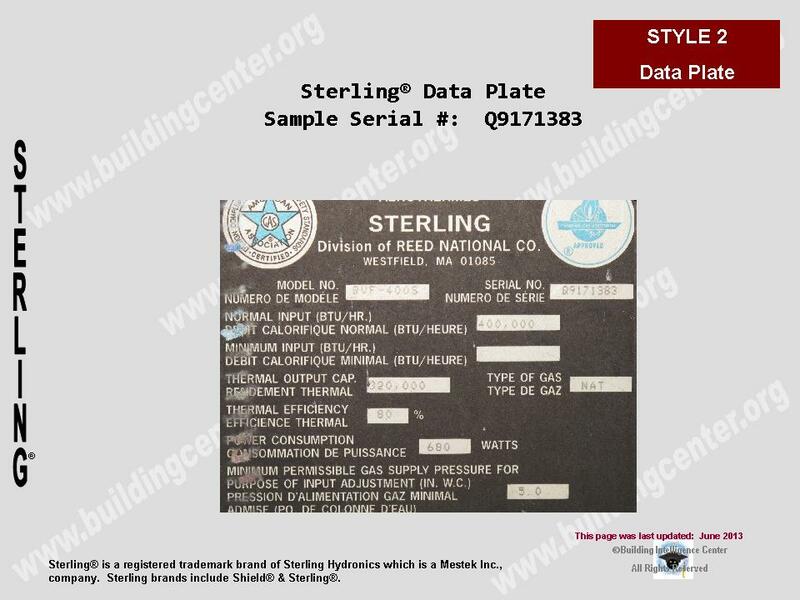 The date of production/manufacture or age of Sterling® HVAC equipment can be determined from the serial number located on the data plate. 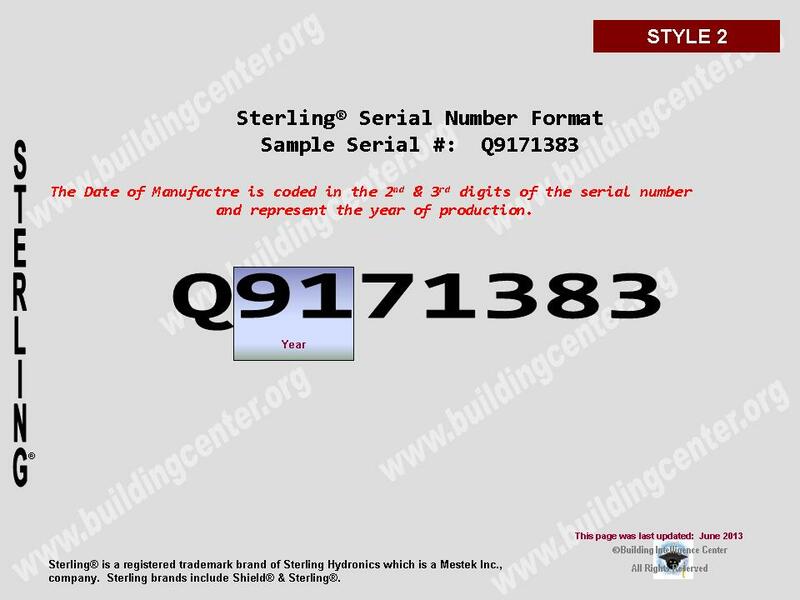 Description: This serial number style is unconfirmed. Unfortunately we are unable to confirm the date of manufacture or age of these units. Perhaps you can assist us in our research with additional information.